When Liverpool’s official account tweeted the starting XI selected by Jurgen Klopp on Monday night, it provoked a wave of abusive replies from those purporting to be supporters of the club. 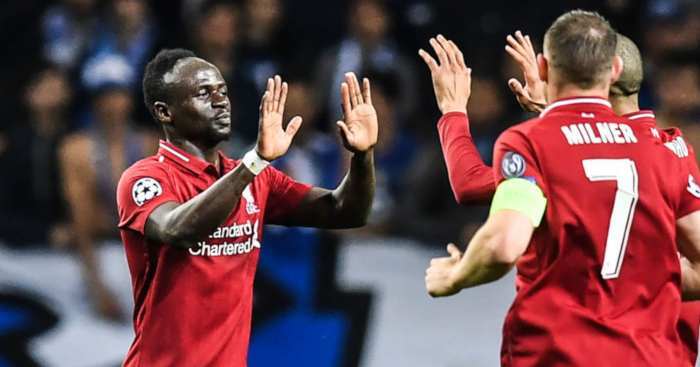 The principal subject of their disdain was Adam Lallana, an England international picked to play in central midfield due to injuries suffered by Georginio Wijnaldum and Jordan Henderson. ‘Now for the real team,’ was the typical reply. One included a gif of a cartoon suicide, another of someone pulling a noose over their neck. 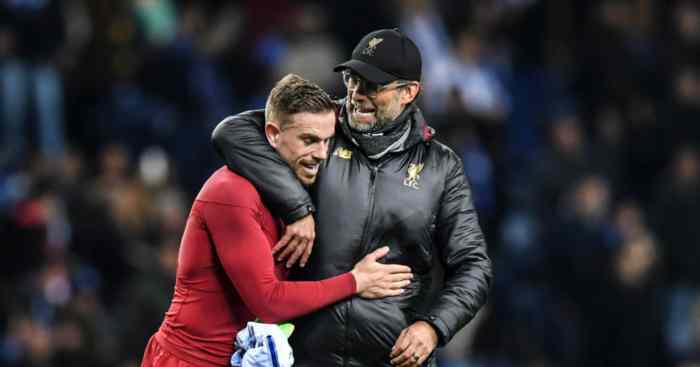 At least some were happy, albeit hardly in a supportive fashion: they expressed delight that Wijnaldum and Henderson had suffered knocks because they disliked seeing them in their team. Of course, Lallana played well. 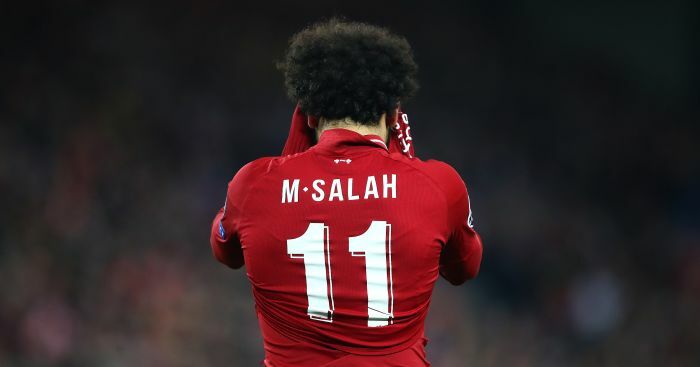 He drove forward, protected the ball and looked to provide the link between the midfield and Liverpool’s front three, because that is what he always does. But by full-time, with Liverpool drawing 1-1, Lallana was no longer the story. Suddenly Liverpool supporters on social media expressed concern that their team was ‘bottling the title’. Search on Twitter for ‘Klopp sacked’ if you think that’s the worst of the extreme reaction. Yes, Klopp should be sacked if Liverpool don’t win the league. For what it’s worth, Liverpool are on course to achieve the third highest points total in Premier League history and the highest points total in the club’s entire history. If social media is no barometer of majority opinion nor the natural habitat of reasoned debate, the entitlement among some is still striking. Where did we all go wrong? Liverpool are only this week’s example of the wailing hysteria that now envelopes football coverage. Last week, you could listen to pundits saying that Maurizio Sarri faced the immediate sack at Chelsea. When Manchester City lost to Newcastle, the Bald Fraud Army mobilised their troops. In the space of six weeks, Mauricio Pochettino has been damned for Tottenham losing to Wolves, praised for their three-game winning response, castigated again for cup defeats and then lauded for late victories. Tottenham’s participation in the title race follows the same path as a hokey-cokey dance. Things happen in football matches. Teams drop points. Football players are people and by definition are therefore unreliable. We have not yet created a club filled with footballing automata. We liberally bestow greatness and ignominy, and very few merit either description. What’s worse, we redistribute those terms more often than the wind changes. It has created a bizarro world in which reputations are decided solely through a prism of extremism. 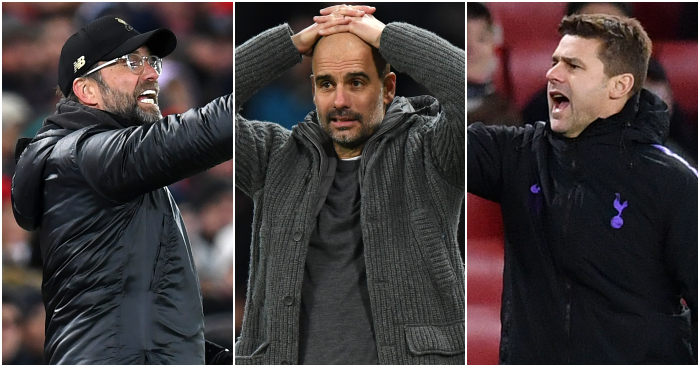 If Liverpool finish second, Tottenham third and Manchester United fourth, hardly a highly unlikely scenario, there will be four teams in the top six (Liverpool, Spurs, Arsenal and Chelsea) whose current managers will be accused of overseeing disappointment this season. And disappointment means fraudulence. It’s exhausting. The financial inequality and competitive imbalance of the Premier League is, in part, responsible for increased supporter impatience. The gap between the top six and the rest – in economic terms at least – has never been wider. As such, wins against that ‘rest’ have become expectation rather than ambition, and any dropped points a relative crisis. Take Tottenham as an example of the decreased margin for error. 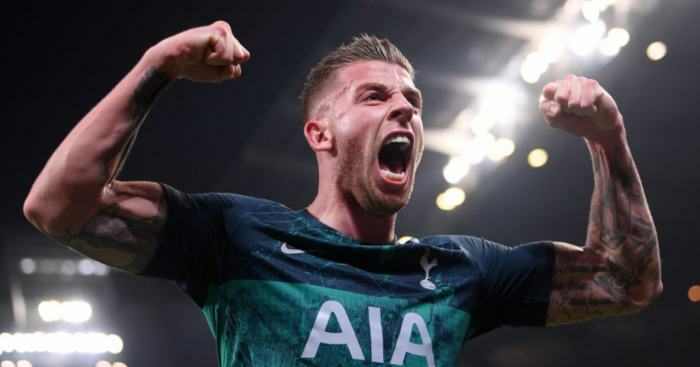 Pochettino’s team are on course to reach 87 points, which would most likely see Tottenham finish third and their manager’s progress seriously questioned. That points total would have won the Premier League in 1996, 1997, 1998, 1999, 2001, 2002, 2003, 2010, 2011, 2014, 2015 and 2016. The goalposts have moved. That tendency towards crisis reporting has been exacerbated by the glamorisation of extreme opinion, a phenomenon that applies to far more important subjects than football. ‘Twitter reacts’ has become an undeserving but common headline, media outlets plumping for sensational negative sells and then raising their hands to say ‘Not me, guv’. ‘Liverpool players accused of bottling Premier League title race by angry fans after dropping points against West Ham’ was one Tuesday offering, to stick with the original Liverpool example. Social media has enabled antisocial people to become social. Someone who would normally have had an outrageous opinion dismissed can now find like-minded (and often anonymous) individuals who share it. When those opinions are given undue prominence (as in this BBC example), they inevitably propagate. The Premier League and media have provided the petri dish, but the nature of football support itself seems to have changed. Tribalism continues to grow to the extent that many take any praise for an opposition club as blasphemy of their own, and the anger of these people is extraordinary. Journalists and writers joke about it (and I’m taking out my small violin here), but appalling personal abuse is received for accused bias against every top six team. Crucially, this extremism becomes self-fulfilling. Self-centredness breeds isolation, isolation breeds more anger and anger breeds further self-centredness. In November, Kick It Out reported a rise in discriminatory abuse of 11% from 2016/17 to 2017/18, with reports of racism up 22%. Last week, sports minister Mims Davies announced an urgent meeting with football leaders to tackle the issue of growing discrimination. As the anger noticeably rises, it is hard not to make a correlation between a growth in football tribalism and growth in unacceptable abuse. Even away from the worst elements of supporters, a general mania exists that is enough to give you a migraine. Melodrama and hysteria now come as standard as clubs and managers lurch between crisis and glory like a runaway train and supporters delight in both according to their loyalties. No longer is it enough to wait until the end of the season for medals and trinkets to be handed out. Why bother, when you can scream and scream and scream until you’re sick after every match. And you can. Over the next 15 weeks, one of the best title races in years will play out. We have the champions Manchester City, whose financial advantage puts pressure on them defending their crown. We have Liverpool under the magnanimous Klopp, who have lost once all season and will return to the top of the table once more if they beat Bournemouth at home, despite the bed-wetting from some supporters. We have Tottenham, punching above their financial weight and five points off the top, an undoubted feel-good story. 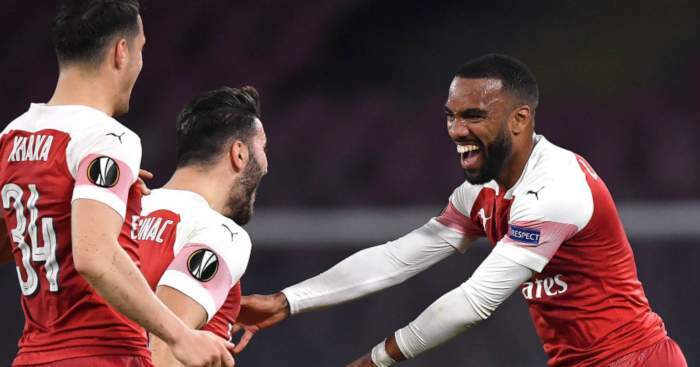 This could be the first Premier League title race that will be defined by those who miss out rather than those who win, and people are itching to pour scorn on those who miss out. Be victorious, and you shall rise as a knight. Fall short, and you are destined for a lifetime of fraud-itude.